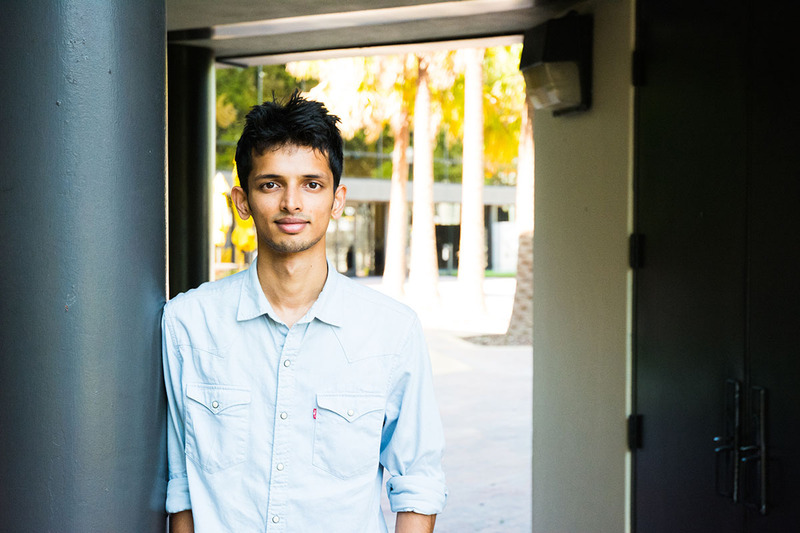 Whether building an antenna, creating an app or speaking one of four languages, Pratik Chougule loves bringing people together. New FIEA programming student Pratik Chougule hopes to create games and apps that bring people together. In 2017, Pratik Chougule sat on the roof of his house in Dapoli, India snipping wires. He was building a FM antenna for his parents, so they could hear the radio stations in Mumbai, a large city more than 250 kilometers from Chougule’s small fishing village. Chougule’s whole life has been about bringing people together, whether through a new antenna or a new AR app he built that allows you to find your car or friends. Now, as this computer science graduate starts FIEA in the programming track, he acknowledges the role his family plays back home. This is not the typical reaction from most parents in India. “I will say the game development, the perception towards gaming in general in India is negative by Indian parents,” Chougule says. Which is one of the reasons why he’s excited to come to the U.S. and continue his studies at UCF. Chougule has already established quite a reputation as an app developer. Inspired by the frustrations of many people at Shivaji University (where he graduated in 2016) who forgot where they parked their bike or vehicle, he created a cross-platform, augmented-reality app that helps track your vehicle’s location. That’s music to Chougule’s ears.